Chatswood Stud stallion Reward For Effort badged his fourth winner when Jevilla prevailed in a three-way finish at Ascot on Wednesday. 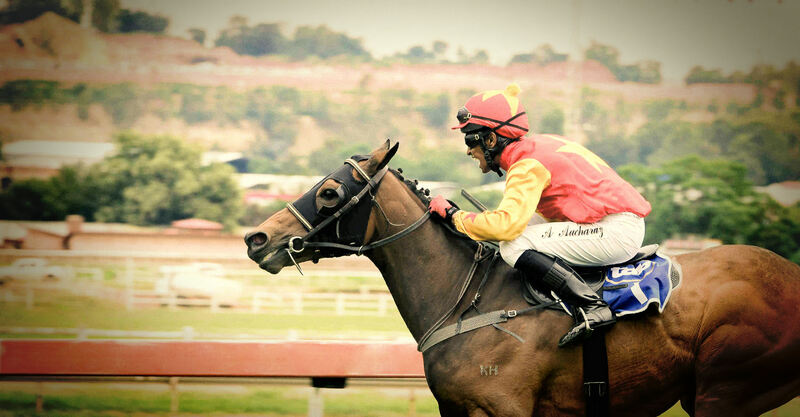 The Keysbrook-based filly is trained and owned by Elva Van Merwyk in partnership with Jill Lewis. She jumped straight to the front for Kyra Yuill in the Westspeed Hcp (1000m) and refused to give in when tackled by Danerip’s Girl (Alfred Nobel) and Orbit the Sun (Planet Five). Jevilla (2f Reward For Effort – Princess Baxaar by Xaar) was bred and sold by Gold Front Thoroughbreds and cost $26,000 at the 2014 Perth Magic Millions. She is a half-sister to the Sydney winner The Alfonso (Magnus) and will have her next start in the G3 Gimcrack Stakes at Ascot on March 14. Reward For Effort is third on the Australian first-season premiership behind Beneteau and Hitchinbrook with 4 winners of 5 races and $208,890 in prizemoney. This weekend marks six years since Reward For Effort raced away with the G1 Blue Diamond Stakes. He has 27 yearlings parading at the Inglis Premier Sale starting on Sunday, March 1 including 8 from Chatswood. Buyers at the Inglis Melbourne Premier Yearling Sale will find it difficult to overlook the wealth of Super VOBIS-nominated lots on offer in this year’s catalogue. The popular sale, which begins at Inglis’ Oaklands Junction facility on Sunday, features a catalogue of 782 quality yearlings, including a bumper 522 Super VOBIS-nominated lots and a further 110 yearlings that remain eligible for Super VOBIS late nomination. Horses must be nominated for Super VOBIS to be eligible for its sister scheme, VOBIS Gold, with the two schemes collectively offering $19.4 million in restricted prizemoney and bonuses each racing season. The 2015 Inglis Melbourne Premier Yearling Sale features more than 90 vendors from across Australia and New Zealand who will offer the progeny from 106 individual stallions, including exciting Victorian based freshman sires Master Of Design, Toorak Toff and Canford Cliffs. Inglis’ Melbourne Bloodstock Director, Peter Heagney, said inspections had already begun at Oaklands and excitement was building ahead of Sunday, with the opening lot scheduled to enter the ring at 12pm. “Premier has a proven record for unearthing champions in Australia, Hong Kong and South Africa, and with the outstanding quality presented by vendors here this week, I have no doubt that success will continue,” Heagney said. Racing Victoria staff will have a permanent presence within the Black Caviar Bar precinct on each of the four days of the Premier Sale and will be available to offer detailed insight into the VOBIS schemes and thoroughbred ownership in Victoria. Melbourne Premier inspections are well underway and Barn F at Oaklands Junction has been a hive of activity where Swettenham Stud has housed a sale-high 50 yearlings. Swettenham bred and sold Group 1 star Trust In A Gust at Oaklands and among this year’s draft is his half-brother by Master Of Design catalogued as Lot 546. The first Master Of Design to parade on Sunday is the colt out of Anna Danna (Lot 18). His dam was a Kentucky stakes performer and is related to champion sires Street Cry and Shamardal. 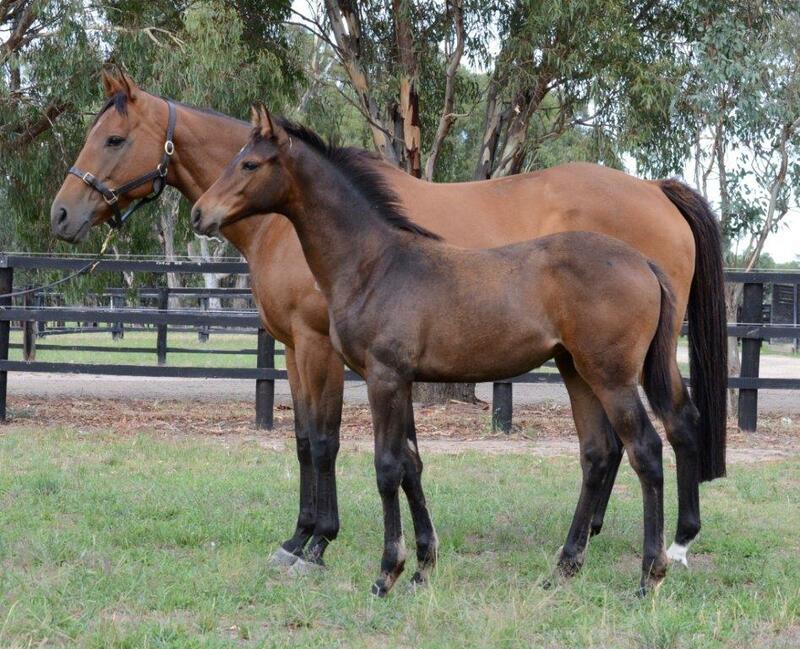 Her first foals to race – Our Kaboom and Our Kapow – both won as two year-olds. The quality continues right through to the final Master Of Design from his home base in Premier I. His filly from The Loan Express (Lot 566) is a half-sister to Fast Cash who was stakes placed at Moonee Valley in August prior to winning the $180,000 VOBIS Gold Carat there last month. Swettenham has also catalogued an exciting draft of yearlings by outside stallions starting with a Bel Esprit – Amoroso filly (Lot 14). Bel Esprit’s world-champion Black Caviar was a Swettenham graduate from the 2008 Melbourne Premier. His Amoroso filly is a half-sister to Group 2 winner Arinosa. She was rated Australia’s most improved mare in 2012-13 after stepping up from a Benchmark 75 win at Canterbury to Group 2 victories in the Premiere Stakes and Sapphire Stakes at Randwick. Amoroso is also the dam of Team Hawkes flyer Onerous. He is a homebred for Steve Lester and cruised to a three-length victory first-up at Seymour last month. Swettenham’s Toorak Toff – Aunty Betty colt (Lot 31) is one of four yearlings being prepped for Melbourne breeder Dyson Hore-Lacy. Aunty Betty won the G3 Birthday Card Stakes in Sydney and she is the dam of Wonzzee who swept 4 of her first 5 starts leading up to the G3 Bow Mistress Stakes earlier this month. Snitzel has a marvellous record at Oaklands Junction with graduates the calibre of Group 1 winner Snitzerland and Group 2 winners Flying Snitzel, Hot Snitzel & Honorine. His Melbourne Premier yearlings this year include Swettenham’s colt from Chauson Dore (Lot 75). The Irish bred mare was a juvenile winner at Saint-Cloud and was a stakes placed at Chantilly. Her first foal Prix d’Or was a Melbourne winner for Robbie Griffiths. Swettenham sells two beautifully bred yearlings by Northern Meteor and Choisir back-to-back on Tuesday. The Northern Meteor – Reine filly (Lot 472) is a half-sister to recent Canterbury winner Queen Of Sheba. Her dam is an unraced half-sister to Group 1 winners Nadeem (Blue Diamond Stakes) and Billion Win (HK Stewards Cup). Choisir’s colt from Ribbon (Lot 473) is a half-brother to the Colin Little trained Blue Ribbon who won last year’s LR Centaurea Stakes in Adelaide. Swettenham has two fillies nominated for the Blue Ribbon Session on Monday starting with the Fastnet Rock youngster from G1 NZ Oaks winner Bramble Rose (Lot 224). The mare has already foaled Randwick stakes winner Maules Creek by Fastnet Rock’s sire Redoute’s Choice. Her latest winner is the Bob Peters owned Evening Rose and she could provide the Fastnet Rock filly with another black-type update in the LR Ascot 1000 Guineas this Saturday. The other Blue Ribbon filly from Swettenham is the Artie Schiller half-sister to in-form galloper Varboss (Lot 271) who completed a Melbourne hat-trick at Sandown on Wednesday. Their dam Varevees was a Group 3 winner and Group 1 placegetter at Longchamp. 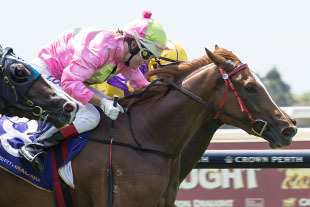 Former Victorian sire Mr Martini was represented by his first winner when Another Martini scored as a short-priced favourite in the Ararat Harvey Norman Plate (2000m) on Monday. The Robbie Griffiths trained gelding had worked home nicely in his first three runs over shorter trips at Warrnambool, Sale and Ballarat. He is Super VOBIS qualified and collected a bonus winning by a half-length from NZ bred gelding Fashion News (Pentire). Another Martini (3g Mr Martini – Cent de Lago by Lago Delight) is the first and only foal of an unraced half-sister to the dam of G1 Underwood Stakes winner Rubiscent. Griffiths prepares him for a syndicate that includes breeders Greg Davis and Jan Lonie. Mr Martini (Bianconi) was trained by Leon Corstens for a Group 2 victory in Melbourne (MVRC Bill Stutt Stakes) and at Group 3 in Sydney (STC Kingston Town Stakes). He struggled for numbers at Copenhagen Stud in Tyabb and is now based in NSW. There were no registrations from his first crop and his second comprised just two named foals – Another Martini and Northern Showdown who was placed twice at Mornington in December for David Brideoake. Mr Martini has four yearlings and more foals on the ground at Glen Beattie’s Glenrae Thoroughbreds in the Hunter Valley. Promising Eliza Park International stallion Sharkbite has well and truly surfaced in recent weeks with a number of stand-out performers, including a couple of stakes horses. Sharkbite kicked off February with a strong Sydney metropolitan victory for Sasenkile (4g x Snippet’s Beauty by Snippets) over 2000m at Rosehill. He has always been held in high regard by trainer Tony McEvoy. The cleverly named Sharkbite filly Andrassy (3f x Pride of Androssan by Desert Sun) won over 1400m at Sandown the following Wednesday. Andrassy is the maiden name of Greg Norman’s first wife! Who’s Next (4g x Airlie Bird by Zoffany) was the next to salute when he proved too good over 1850m at Newcastle on February 7. 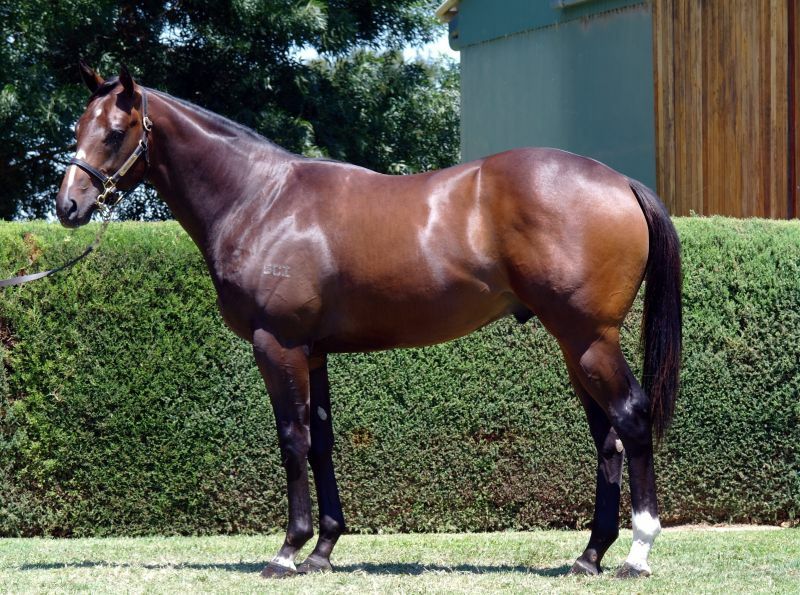 Sharkbite upped the ante two days later with a pair of stakes performers in Tasmania: Shayana (3f x La Madeleleine by Peintre Celebre) finished second in the LR Strutt Stakes and Siorca (2g x Chrome Magic by Van Nistelrooy) ran fourth in the LR Elwick Stakes. Shayana then capped off what has been a great month for Sharkbite by coming from near last on the turn for a slashing second in the Tasmanian Oaks on February 22. Sharkbite is a son of the Champion sire of sires in Redoute’s Choice and is a full brother to current star Scissor Kick. They are both out of the outstanding Hasili family that has produced Champion European stallion, Dansili, as well as a plethora of Group 1 winners. The success of Redoute’s Choice’s sire sons continues unabated with Snitzel, Not A Single Doubt, Stratum and the ill-fated Beneteau. Sharkbite sired just 40 foals in his first crop which are now 4yos. He had 83 foals in his second crop (his first at Eliza Park International) and 76 foals the following year with all three crops now really kicking goals. Master Of Design yearlings catalogued for the upcoming Melbourne Premier Sale have received numerous pedigree updates in recent weeks. The Swettenham Stud sire has 19 lots entered for Oaklands Junction and one of his stars is the half-brother to Group 1 winner Trust In A Gust (Lot 546) being sold next Tuesday afternoon. The colt looks as good as his pedigree and he will be a busy boy parading for prospective owners and trainers during inspections this week. The Master Of Design – Subtle Breeze colt is Super VOBIS nominated – just like Trust In A Gust who was a VOBIS Gold pin-up as a three year-old in 2013-14. The Darren Weir trained star returned in the spring to win the G1 Sir Rupert Clarke Stakes and G1 Toorak Hcp at Caulfield. Trust In A Gust will be set for a winter campaign comprising the G1 BTC Cup (1200m), G1 Doomben 10,000 (1350m) and G1 Stradbroke Hcp (1350m) before retiring to stud later this year. Another Master of Design yearling from Swettenham with a recent VOBIS update is his filly from The Loan Express (Lot 566). Her older half-brother Fast Cash won the $180,000 VOBIS Gold Carat (1200m) at Moonee Valley last month for Euroa syndicator Ken King. Master Of Design also has a half-sister to Fontein Ruby (Lot 74) going under the hammer at Oaklands. Trainer Robert Smerdon is setting the G2 Edward Manifold Stakes winner for a Group 1 campaign that includes the Australian Guineas and Queen Of The Turf Stakes. Swettenham’s entire draft of 50 yearlings will be available for inspection at Barn F at Oaklands Junction as from Tuesday, February 24. 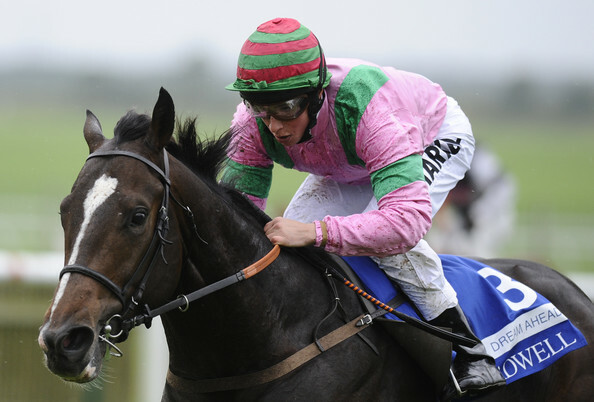 Winston Drive capped a week of mixed emotions for Limerick Lane owner Gerry Ryan on Saturday. The daughter of former Blue Gum Farm sire Churchill Downs came from midfield to defeat Marli Magic (Host) and Inishowen (Encosta De Lago) in the Flemington Hcp (1600m) at headquarters. She had been working up to a win after seconds over shorter trips at Moonee Valley and Flemington. Winston Drive’s dam Manhattan Treasure (Portland Pirate) won four races for Ryan and fellow part-owner John Sutcliffe. Her first foal Biatreasure (Bianconi) is also trained by Darren Weir and she won a Hamilton maiden in November. Manhattan Treasure is a half-sister to LR Dequetteville Stakes winner Manhattan Maid and she has a yearling filly by Elvstoem and a filly at foot by Reset. 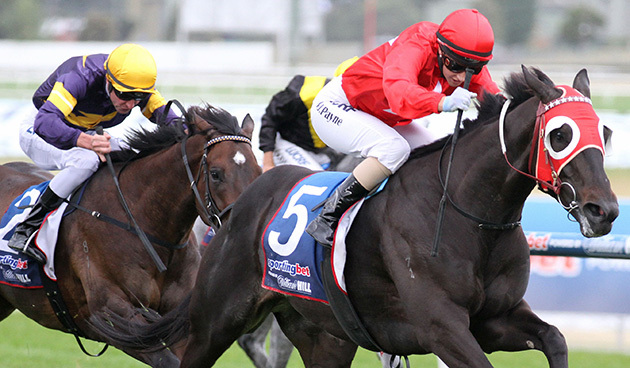 The mare was bred back to Ryan’s Melbourne Cup winner Americain at Swettenham Stud last year. Winston Drive broke through at Flemington shortly after Ryan and Weir announced the retirement of their Group 1 galloper Puissance De Lune. 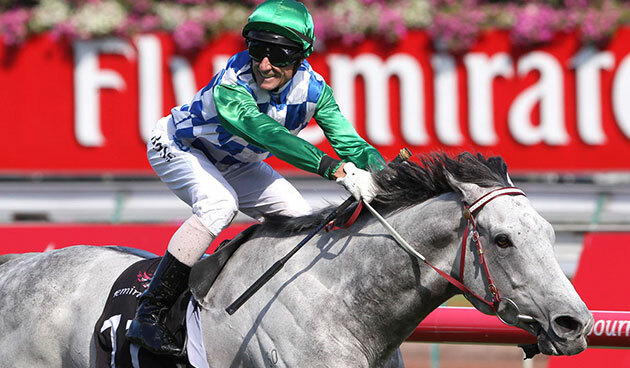 Puissance De Lune (Shamardal) emerged as a potential star with a runaway victory in the 2012 Queen Elizabeth Stakes at Flemington. The imported grey galloper battled on-going leg issues but still won the G2 Blamey Stakes and G2 Peter Lawrence Stakes as well as a finishing second at Group 1 level in the Makybe Diva Stakes and Turnbull Stakes. Flemington’s Talindert Stakes on Saturday was a timely reminder of the quality on offer from Eliza Park International at the Inglis Melbourne Premier yearling sale starting next Sunday, March 1. Lining up for her debut in the Talindert, EPI graduate Pasadena Girl raced greenly in the opening stages before knuckling down to win the Listed event with plenty in hand from Stay With Me (Street Cry) and Take Pride (Reward For Effort). The Savabeel filly was part of the Eliza Park International draft at last year’s Melbourne Premier and cost Peter Moody just $25,000. “I’ve been taken with her from Day 1,” Moody told AAP. “I think she’s real good. “She’s an immature Savabeel filly and is doing everything above what she should be doing at this point in her career. She’s been brilliant at home. Pasadena Girl (2f Savabeel – Nina From Pasadena by Redoute’s Choice) is from an Ellerslie winning sister to black-type sprinter Renewed Vitality. She has a yearling sister by Savabeel entered as Lot 408 for the Melbourne Premier. Eliza Park International will consign five Savabeel yearlings to Melbourne including a half sister to Kiwi stakes winner, Jacquetta (Lot 207), a colt from Group 2 winner Fire Song (Lot 237) and a full brother to another stakes winner in Queen Sabeel (Lot 270). The catalogue for the third annual Inglis VOBIS Gold Yearling Saleis now available online. 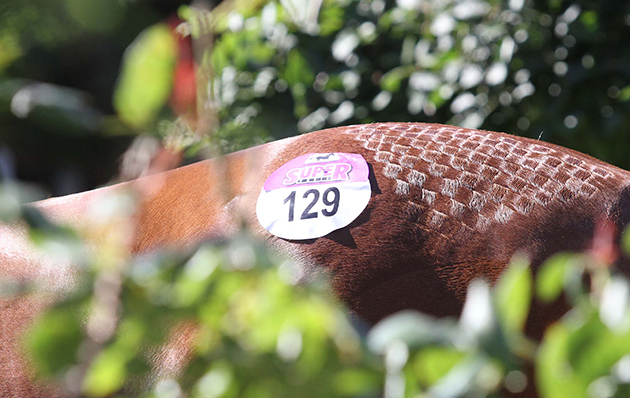 The two day sale will run on 19 and 20 April 2015 at Inglis’ Oaklands complex in Melbourne, and will once again be split into two sessions. The Select Session will consist of 260 Lots, all of which are Super VOBIS nominated. This session will run from 12 noon on Day 1 and from 11am on Day 2, and will be followed by the General Session. Supplementary entries for Day 2 will be accepted until Friday, 10 April. 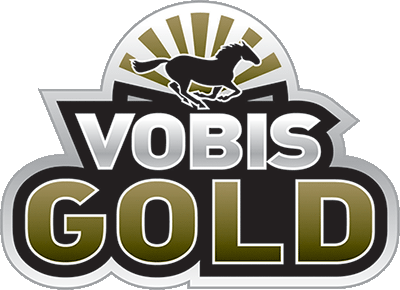 Super VOBIS (Victorian Owners and Breeders Incentive Scheme) and VOBIS Gold are world leading incentive schemes that encourage owners and breeders to support Victorian bloodstock. Across the two schemes there is more than $19 million in prize money and bonuses available to breeders and owners of Victorian horses. Since its inception in 2013, the Inglis VOBIS Gold Yearling Sale has been well received by vendors and buyers who are keen to access the wealth of bonuses on offer through both schemes. “We are delighted that we can continue to support the VOBIS initiative through this sale, and we are confident that the sale will continue to grow in popularity with both vendors and buyers alike,” said Victorian Bloodstock Director, Peter Heagney. Well-related yearlings for offer in the Select Session include the half-sister to Group 1 winner Fashions Afield by hot freshman sire Toorak Toff, and the halves to Group 2 winners Tesbury Jack and Fontiton, the latter of which is the favourite for next week’s Group 1 Blue Diamond. Another six yearlings by Fontiton’s sire, Turffontein, will be offered along with progeny by Northern Meteor, Star Witness, Choisir, Master Of Design, Testa Rossa, Bernardini, Bel Esprit, Artie Schiller, Medaglia d’Oro, Stryker, Reset, Strategic, Canford Cliffs and Reward For Effort. The extent of support Dream Ahead (USA) has received from Victorian breeders is reflected in a quality consignment catalogued for the Inglis Premier yearling sale to be staged on March 1 – 4. Dream Ahead has 9 lots catalogued for Oaklands Junction from his home base at Emirates Park and leading vendors Musk Creek Farm, Rushton Park, Yallambee Stud and Woodside Park. The first Dream Ahead (Lot 47) set to go through the ring next Sunday hails from one of the most celebrated stakes winning families associated with David Moodie’s Contract Racing. The youngster is a half-brother to Red Flair (G3 Mannerism St) and Pretty Halo (G2 HK International Cup Trial). Likewise, Lot 146 is a half-brother to Darley’s Flemington stakes winner Launay, himself a close relation of G2 Moonee Valley Cup winner Storm. Emirates Park has Dream Ahead offspring from families that should be very familiar to Victorian owners and trainers; Lot 52 is from a half-sister to G3 Maribyrnong Plate winner Boomwaa; Lot 126 is outs of of a half-sister to Contract Racing’s stakes winning duo Kulgrinda and River Delta; Lot 397 is a half-brother to G3 VRC Carbine Club Stakes winner Mr Chard. Digger’s Rest based Emirates Park has an exceptionally well-bred son of Fastnet Rock (Lot 198), who is a direct descendant is the one and only Miesque, 10-time Group 1 winner and matriarch to a plethora of stars including the likes of Kingmambo, East of the Moon and Rumplestiltskin. Emirates Park’s draft is available for inspection from Wednesday, February 25 at Oaklands Junction. KILLUA CASTLE South African Group winner has a half-brother by All American (Lot 445). Chatswood Stud stallion Reward For Effort chalked up his third first-crop winner at the Sunshine Coast on Wednesday. The Stuart Kendrick trained colt Montana Star stalked the pace in the HMR Projects Hcp (1200m) on debut before scoring a three-quarter length victory over A Real Heartbreaka (Real Saga) and Big Dollars (Captain Sonador). Montana Star (2c Reward For Effort – Sister Livia by Galileo) is a homebred for Dean and Kelly Shannon who operate Montana Park at Maleny. The 42 hectare property is an hour from Doomben and has views of the Glass House Mountains. The Shannons sent the Sunny Coast winner to Kendrick after he was passed-in shy of a $15,000 reserve at the 2014 Gold Coast Magic Millions. His dam Sister Livia is an unraced half-sister to city winners Seeyou (Eagle Farm) and Red Belly Black (Flemington). Sister Livia has a filly foal by Reward For Effort and she was bred back to Statue Of Liberty in November. 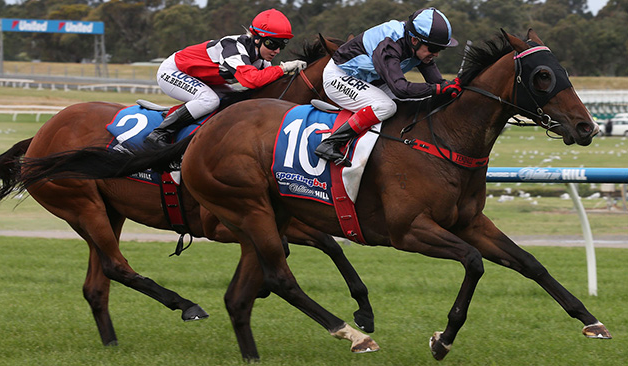 Reward For Effort’s last-start Bendigo winner Destiny’s Reward comes to town this Friday night at Moonee Valley. The Brian Gentle trained colt scored an all-the-way victory over Godolphin filly Overact at his home track on February 7. Seymour based Take Pride won at Flemington on New Year’s Day and she returns to headquarters for the LR Talindert Stakes this Saturday. The Murray Johnson trained daughter of Reward For Effort still holds a Group 1 nomination for the Blue Diamond Stakes on February 28. The winning run has boosted Reward for Effort’s second crop yearlings to be offered at the Inglis Melbourne Premier Sale in March. He has 29 lots catalogued for Oaklands Junction from 16 different vendors. Chatswood Stud’s first to parade is the colt from USA bred mare Lickety Lemon (Lot 319). A stakes winner at Woodbine, she arrived in Victoria in August 2012 and was among Reward For Effort’s first book shortly after leaving quarantine. Lickety Lemon followed up with an Americain filly last year before going back to Reward For Effort in November. 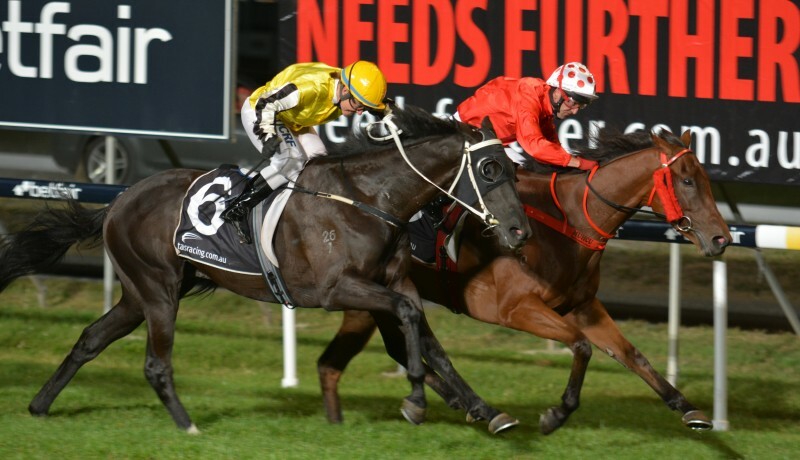 Hugo fought back to win the Sydeston Night Cup (2100m) at Mowbray on Wednesday evening after being headed in the straight by the favourite Valdez. Hugo deserved to break through after being runner-up at his previous three outings behind Big Tilly, Deux Foix and Miss It And A Bit. Eliza Park International sire Magnus got him from LR Strutt Stakes winner Galvanized. The Rubiton mare was also stakes placed at Flemington and Moonee Valley. She has a yearling filly by Written Tycoon and was bred back to Statue Of Liberty last year. The Night Cup result came shortly after a Magnus yearling made $115,000 at the Perth Magic Millions. His colt from Jestceny will be prepared by leading local trainer Trevor Andrews. Victorian trainer Wez Hunter also weighed in with $60,000 in the west for a Magnus – Markka filly entered by Eliza Park International. The Perth market was a natural fit for Magnus after his outstanding mare Magnifisio won the G1 Winterbottom Stakes at Ascot in November. Magnus has 7 lots entered for the Inglis Melbourne Premier Sale next month starting with the half-brother to Flemington juvenile stakes winner Spectrolite (Lot 66). Eliza Park International has the majority of yearlings by Magnus at Oaklands Junction including a filly from Flokkati (Lot 160). The dam is a three-quarter sister to the $60,000 filly purchased by Hunter in Perth. 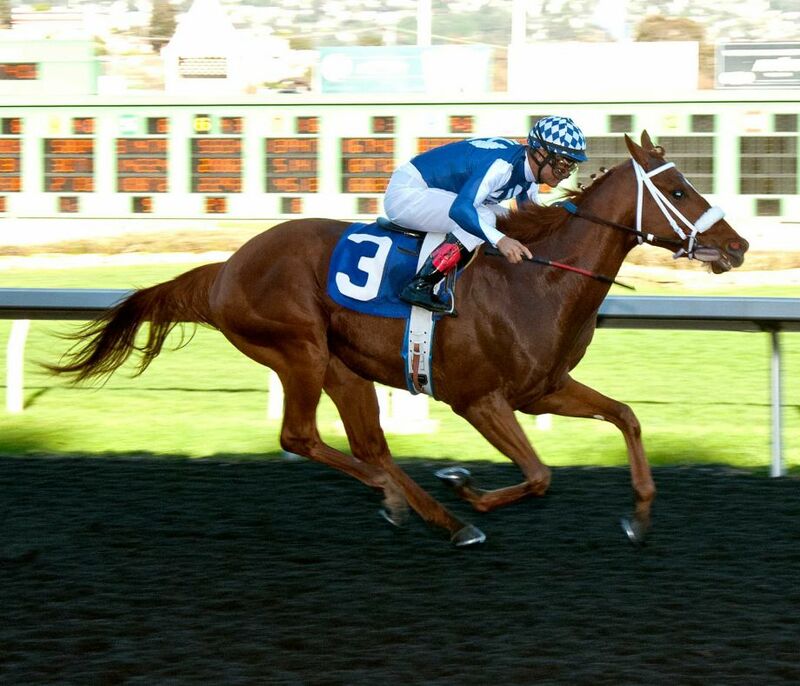 Street Boss (USA) boosted his black-type count with two feature winners in California on the weekend. The Darley Victoria shuttler sired his 12th stakes winner with Metaboss in the G3 El Camino Real Derby (1800m) at Golden Gates on Saturday and his 13th when Bench Warrant claimed the LR Baffle Stakes (1300m) at Santa Anita on Sunday. Metaboss (3c Street Boss – Spinning Yarns by Free House) earned 10 qualifying points toward the Kentucky Derby with an explosive two lengths and change victory. The Kentucky bred colt was knocked down for $60,000 at the 2014 Barretts 2YO May Sale. He had won an 1800m turf maiden at Santa Anita on January 4. Bench Warrant (3c Street Boss – Ola Docura by Meadowlake) rallied from last in the Baffle Stakes after fourth placed finishes in the G1 Los Alamitos Futurity and G2 San Vicente Stakes. The John Sadler-trained colt was sold for $110,000 at a 2YO Sale in March 2014 and had now earned $177,000 from 3 wins in 6 starts. 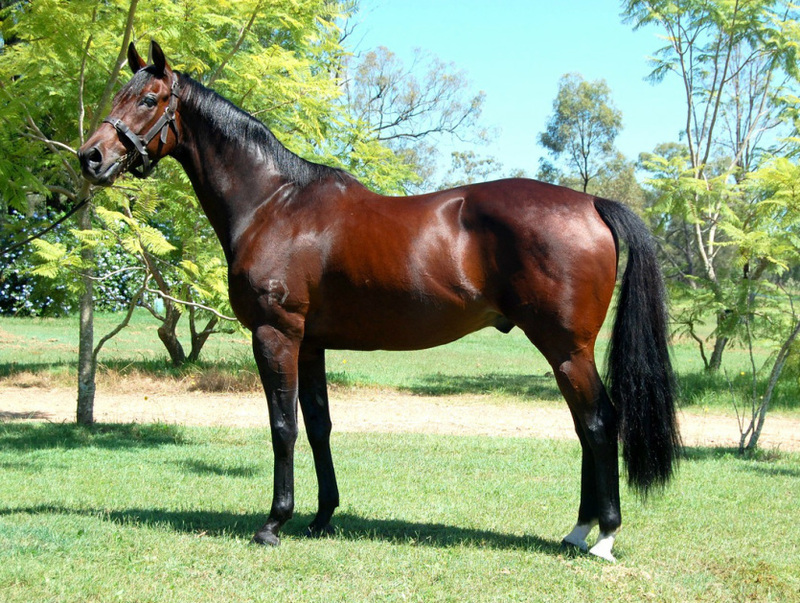 Street Boss (Street Cry) is the sire of USA Group 1 winners Danza (Arkansas Derby) and Capo Bastone (King’s Bishop Stakes) while, in Australia, he is a Top 10 sire on the third-season premiership with earnings of $666,130. Everything seems to be coming up roses of late for Woodside Park Stud. The Tylden property welcomes Zoustar to its stallion roster in 2015 but the dual Group 1 winning son of Northern Meteor will have to share the limelight with in-form stallion Written Tycoon. In just over a week, Woodside stallion Written Tycoon has sired three stakes winners – It Is Written (LR MVRC Abel Stakes), Stoker (MRC RL Inglis Premier) and Tycoon Tara (MRC G3 Geoffrey Bellmaine Stakes). Having her first start in stakes company, Tycoon Tara become the 9th stakes winner for Written Tycoon. She was racing second-up and beat Bonaria (Redoute’s Choice) by one and three quarter lengths. Tycoon Tara’s victory at Caulfield on Saturday came shortly after Woodside Park-bred San Nicasio (Hard Spun) opened his stakes account in the G2 Autumn Stakes. Sent straight to the front by Ben Melham, the daughter of Written Tycoon kept up a relentless gallop to defeat the Group 1 winner Bonaria by one and three-quarter lengths with dual Group III winner Politeness in third. Trainer Robert Smerdon thinks Fontiton will be even better suited when she steps up to 1200 metres in the Group 1 Blue Diamond Stakes on February 28. Fontiton (2f Turffontein – Personal Ensign by Rubiton) will now attempt to emulate top-class fillies Samaready (More Than Ready) and Earthquake (Exceed And Excel) who won the Prelude on the way to the $1 million Group 1. Fontiton was bred and sold for $110,000 by Blue Gum Farm at the 2014 Inglis Melbourne Premier yearling sale. Matchem Racing managers Byron Rogers and Matthew Cain own her in partnership with James Price and Vasko Ognenovski. Her dam Personal Ensign was a Listed winner of the 2006 Northwood Plume Stakes at Caulfield and she’s bred on the same Turffontein / Rubiton cross as stakes winning three-year-old filly Fontein Ruby. 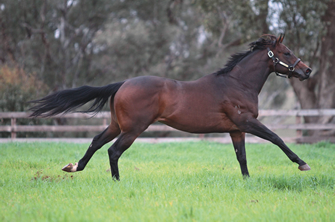 Her sire Turffontein has 10 yearlings catalogued for the 2015 Melbourne Premier starting on March 1. Three Bridges freshman Stryker landed his second winner with Lightning Striker at Port Macquarie on Friday. 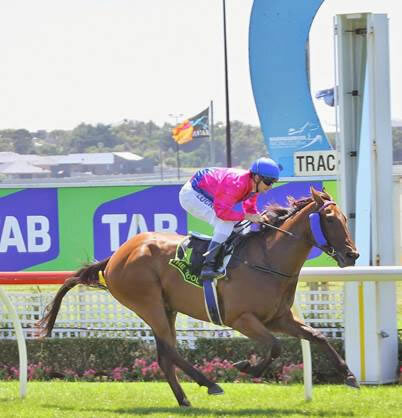 The Jenny Graham trained gelding started a short-priced favourite on his home track after a good third on debut at Scone last month. Lightning Striker (2g Stryker – My Amelia by Redoute’s Choice) was bred by Richard Pegum and is raced by Alan Miller after making $29,000 at the 2014 Gold Coast Magic Millions. His dam is a daughter of Group 1 winning filly Carry on Cutie. The Group 3 winning son of Fastnet Rock was popular on the Gold Coast last month. His second crop yearlings included a $165,000 colt bought by Tony McEvoy and a $100,000 filly purchased by Aston Bloodstock. Stryker has 10 yearlings catalogued for the Inglis Melbourne Premier Sale and another 19 for the Adelaide Magic Millions in March. 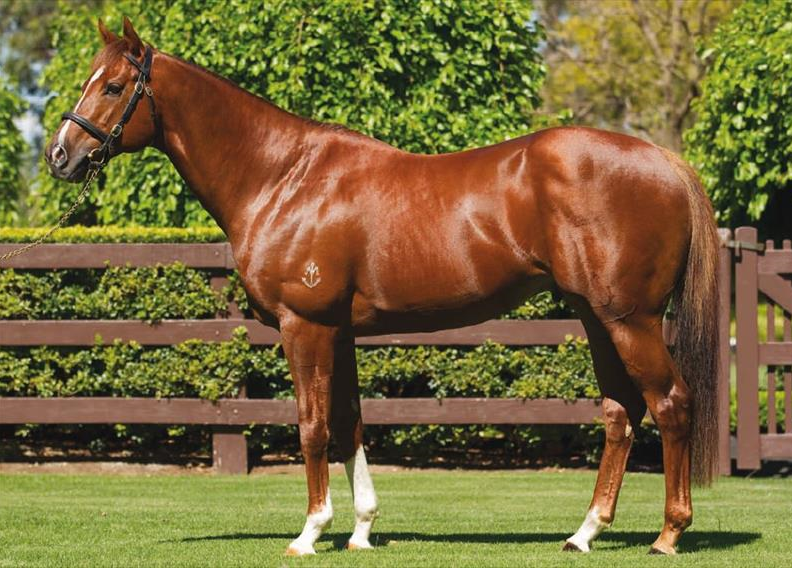 Sub-fertile sire sensation Starspangledbanner already has a Group I winner on the board in the Northern Hemisphere and has a very smart one here in Australia in exciting colt Of The Brave, who resumed from a spell to win the Group III MRC Blue Diamond Prelude at Caulfield on Saturday. A dashing chestnut like his sire, the Mark Riley trained Of The Brave was quickly away from a wide gate and accelerated smartly in the straight, but was challenged late by Street Cry (IRE) colt Pride of Dubai. Running on empty in the last few strides, Of The Brave held on to win the 1100 metre contest by a short half head and will no doubt be better for the run. 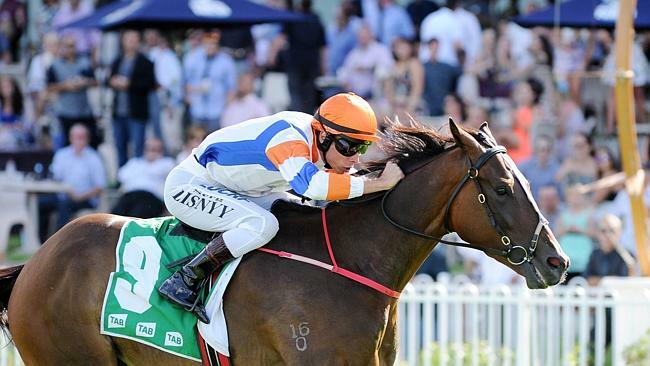 “He’s won two from two so has earned his place in the Blue Diamond,” said Mark Riley. “He was vulnerable today. I said if he was going to get beaten, today would be the day. 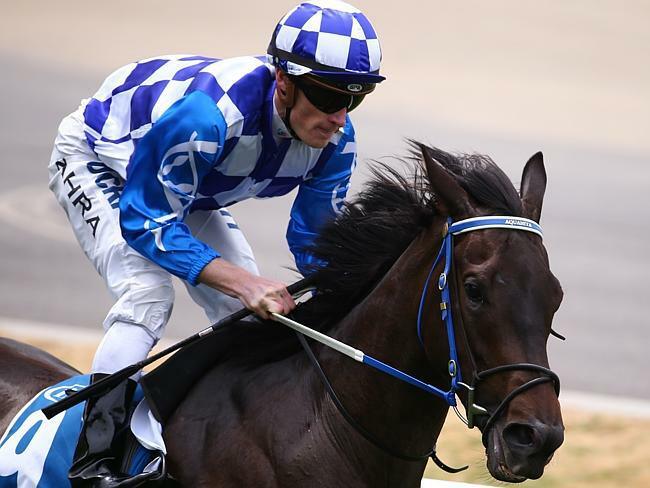 “He needed that hard run to top him off and he’s going into the Blue Diamond on the way up. A $170,000 Magic Millions purchase for his trainer from the Rosemont Stud draft, Of The Brave is bred to go fast being a three-quarter brother to brilliant Group III winner Eloping and Group II placed Jesse’s Girl. He is the fourth winner for Runaway Jesse, a half-sister by Rory’s Jester to Group III winner All Courage. Runaway Jesse has no yearling for the sales in 2015, but has a filly foal by Golden Slipper winner Sepoy and was covered last spring by Fastnet Rock. Of the Brave is the first Australian stakes-winner for globe-trotting champion Starspangledbanner, who was popular at Rosemont Stud last spring covering 93 mares. Italy sent Godolphin’s two year-old tally into double figures this season with a front-running victory at Canterbury on Wednesday. Sheikh Mohammed’s homebred filly won the TAB Rewards Hcp (1100m) by a half-length and will now be given the chance to earn black-type in the G2 Sweet Embrace Stakes at Warwick Farm on February 28. Italy (2f Domesday – Retail Therapy by Flying Spur) comes from Hunter Valley royalty going back to the 1960s. Her family first came to prominence carrying Jack and Bob Ingham’s brown and yellow hooped colours – well before they were superseded by those famous cerise silks. Her fourth dam Anjudy (Wilkes) won the 1972 Champagne Stakes at Randwick and she foaled 1981 Todman Slipper winner Crown Jester who, in turn, sired Golden Slipper winners Rory’s Jester (1985) and Guineas (1997). Godolphin has raced 10 winners in two year-old company this season and they dominate Australia’s juvenile landscape. Of the leading 10 horses in pre-post markets for the G1 Golden Slipper, 8 are by Darley stallions. Italy is still a $101 long-shot to land the $3.50 million purse on March 21. Her sire Domesday stands at Darley’s Victorian base in Seymour and he was represented by another promising winner last week when Profit Share flew home in the Super VOBIS 3YO Plate (1300m) at Sandown. Profit Share (3g Domesday – Hemingway Rules by Hemingway) is owned by the Parker family from Colac and he has earned over $223,000 since Musk Creek Farm sold him for $22,000 at the 2013 Inglis Autumn yearling sale. His dam is a half-sister to Man Of Illusion who was a open-class sprinter in Brisbane before transferring to the USA where he won a Group 3 at Churchill Downs. $15 Calaverite (Lonhro / Darley), Haptic (Exceed And Excel / Darley), Headwater (Exceed And Excel / Darley) Holler, (Commands / Darley), Mogador (Lonhro / Darley). Larneuk Stud’s Neville Murdoch has been delighted with the recent run of good form by his young stallion O’Lonhro. And he was especially happy with the runaway victory recorded by promising galloper Big Reel at Warrnambool on Tuesday. The Mervyn McKenzie trained three year-old started a hot odds-on favourite and won accordingly in an all-age sprint. Bred by Dr Angus McKinnon, Big Reel is a half-brother to prolific winner King Cotton and their dam also has an O’Lonhro yearling colt described by Murdoch as an absolute cracker. McKenzie plans to give Big Reel a break, confident that his charge will be all the better at four. “He’s been in work for six months but just keeps pulling up well and putting his head in the feed bin. He’s as tough as nails and is showing more than King Cotton at the same stage. O’Lonhro stands for a $5,500 (inc gst) fee at Larneuk Stud. 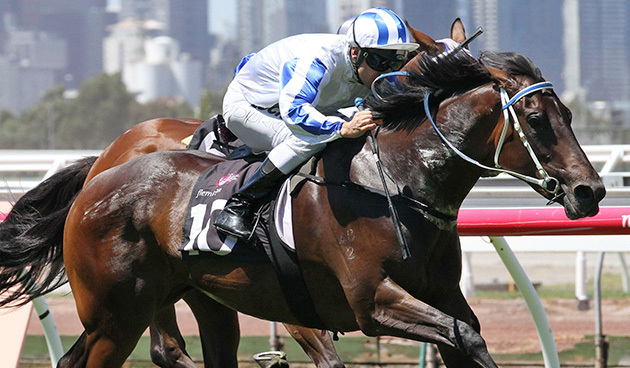 Turffontein is a firming favourite to break a run of outs for Victorian stallions in the G1 Blue Diamond Stakes. His unbeaten filly Fontiton is at $4.60 in pre-post markets for the Group 1 Blue Diamond Stakes (1200m) at Caulfield on February 28 and victory will complete a full circle for Blue Gum Farm owner Philip Campbell. Blue Gum initially stood champion sire Encosta de Lago and among his Victorian progeny was 2004 Blue Diamond champion Alinghi. A decade of winners since then have been conceived in the Hunter Valley. 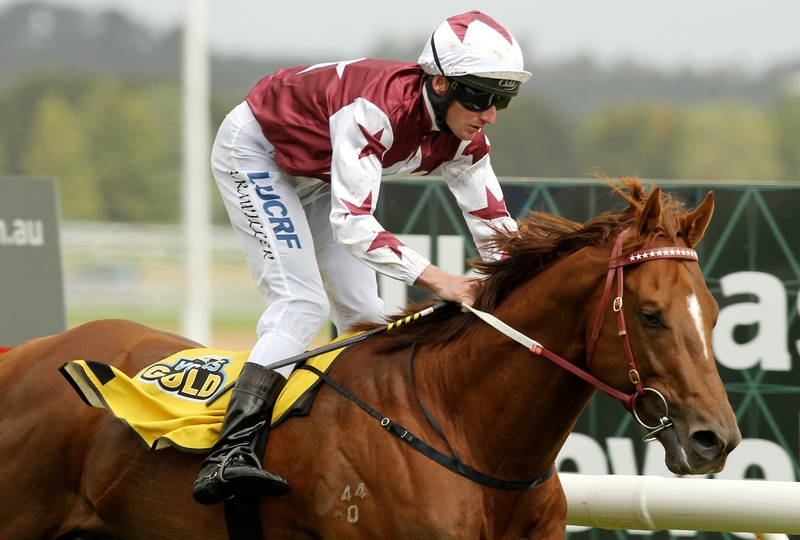 Turffontein (Johannesburg) was a Group 1 winner of the Sir Rupert Clarke Stakes (1400m) at Caulfield and William Reid Stakes (1200m) at Moonee Valley before retiring to Blue Gum Farm in 2010. Fontiton is a true-blue product of Blue Gum’s Euroa nursery. Philip’s father Graham Campbell bought into the family with a $55,000 bid for 12 year-old mare No No Nanette (Showdown) at an Inglis Sydney Sale in 1984. She foaled Rancho Ruler first-up at Blue Gum and he also won a G1 Sir Rupert Clarke Stakes (when it was known as the Marlboro Cup) plus a Manikato Stakes and Memsie Stakes. Rancho Ruler sired Fontiton’s second-dam Blue Gum Girl and she foaled 6 winners including Personal Ensign (Rubition) who won a stakes race for Philip Campbell during the 2006 Caulfield Cup carnival. Personal Ensign threw two winners by Elvstroem before Fontiton was sold for $110,000 at the 2014 Inglis Melbourne Premier yearling sale. She is owned by Matchem Racing’s Byron Rogers and Matthew Cain along with Inglis Bloodstock consultant James Price and Vasko Ognenovski who won a 10% share through a Herald Sun newspaper promotion. Fontiton passed several key tests with flying colours at Oaklands and the Matchem team predicted she had the genetic and physical characteristics to become elite performer. Rogers is based in Kentucky after starting his working life in the Hunter Valley and, apart from his own expertise, the criteria for yearlings includes heart-scores, DNA testing of hair samples and the experienced eye of Group 1 trainer Robert Smerdon. The new-age selection process struck gold when Fontiton won the $250,000 Inglis Banner by 6 lengths at Moonee Valley in October and she returned for a Group 3 victory in the Blue Diamond Preview at Sandown on Australia Day. Fontiton has a yearling half-sister by Canford Cliffs that made $20,000 at the Inglis Sydney Foal Sale last year. She was purchased by Bucklee Farm’s Leeanne Smith and will race for Victorian owners Carol Randells and Dennis Price. Personal Ensign has a another Canford Cliffs filly on the ground (pictured below) and she is back in foal to Turffontein. Smerdon also prepares G2 Edward Manifold Stakes winner Fontein Ruby who is bred on the same Turffontein / Rubiton cross as Fontiton. They have helped Turffontein climb into third place on the Australian second-season premiership with earnings over $1.10 million so far this season. Turffontein has 10 yearlings catalogued for the Melbourne Premier starting with Blue Gum’s colt (Lot 5) from a half-sister to Melbourne Group 3 winners Intelligent Star (Rubiton Stakes) & Blaze The Turf (Autumn Classic).